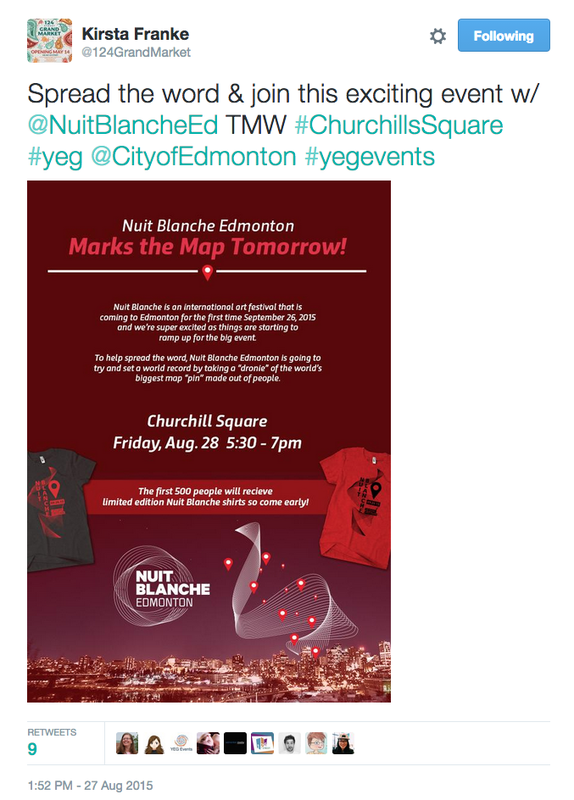 A few weeks ago Tom and I heeded the call from the Nuit Blanche Edmonton festival committee and showed up in Churchill Square wearing red shirts. 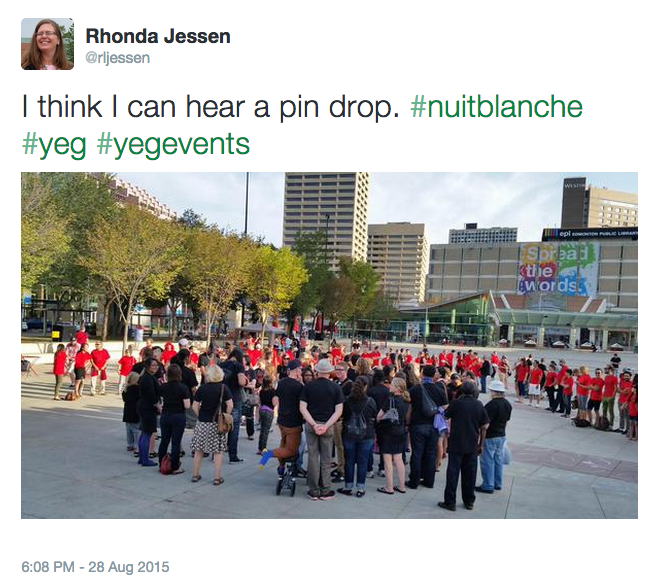 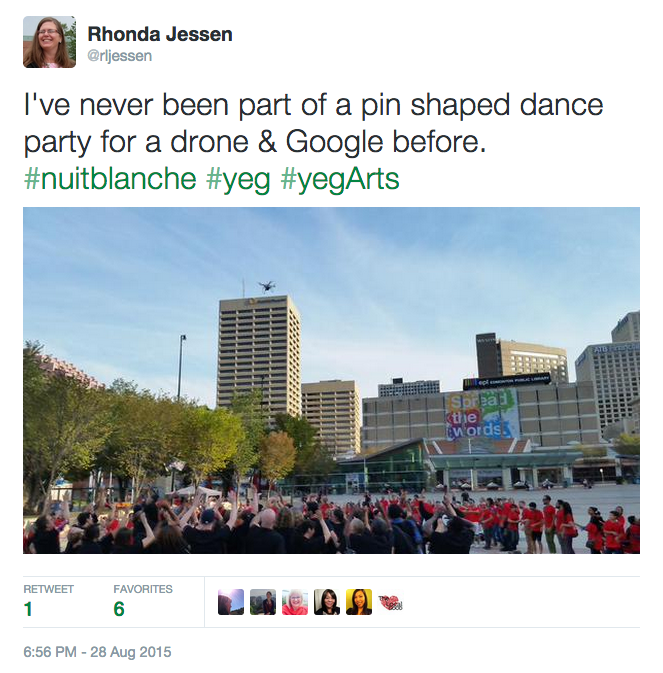 Nuit Blanche takes place September 26. 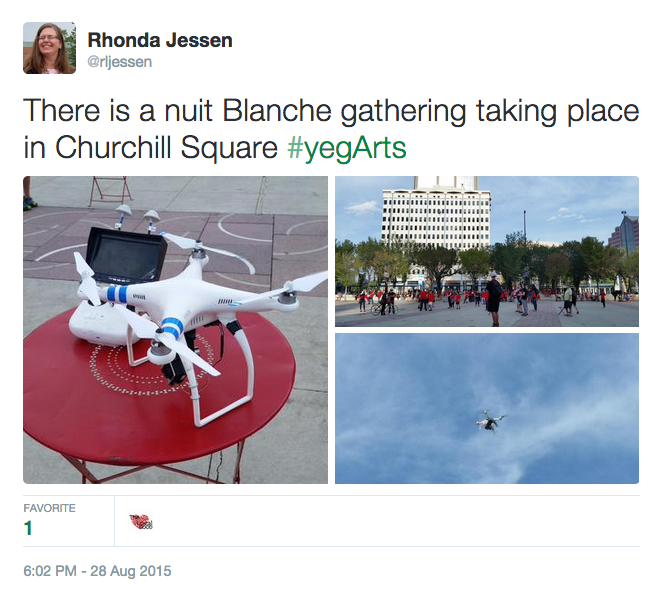 Come to Churchill Square and experience how over 30 local and internationally renowned artists transform downtown Edmonton.